Charlie Murphy, the straight, no-chaser funnyman who died Wednesday afternoon at the age of 57 after a private battle with leukemia, pulled off the seemingly impossible. Indeed, the older brother of Eddie Murphy, a once-in-a-generation comedian and record-breaking film star, would not have been blamed if he rode the red leather tails of his sibling’s career. Yet, Murphy’s True Hollywood Stories sketches were central to Dave Chappelle’s Comedy Central gem: The tales of a coke-fueled, slap-happy Rick James and Prince the hoops god serving pancakes to his vanquished and confused foes are eternal. Murphy also became a successful touring comedian. “It’s been a riot,” he told me during a 2013 interview when asked about his move to stand-up. Charles Quinton Murphy was a very self-aware person. “I’m not going to make a fool of myself,” he said, “or besmirch my brother’s legacy. Before I started doing stand-up, I knew I had what it takes to develop an act. I went to clubs with not many people there and I just worked on it, man.” That’s the legacy of Charlie Murphy: hard work. Which is why it’s not surprising that there has been an outpouring of heartfelt tributes. “We just lost one of the funniest most real brothers of all time. Charlie Murphy RIP,” posted Chris Rock, who recruited Murphy to portray the all-too-gangsta Gusto for 1993’s cult comedy classic CB4. Fellow comedian D.L. Hughley glowed about Murphy: “After every gig, he rushed home to be with his kids. He died with gigs on the books.” Oscar-nominated director Spike Lee, who cast Murphy in some of his most acclaimed work — including 1990’s Mo Better Blues, posted on Instagram: “My Late Brother-The Very Funny Charlie Murphy … Rest In Power.” And actress Gabrielle Union praised him as a “kind, sweet, funny man.” Murphy’s wife, Tisha Taylor Murphy, died of cervical cancer in 2009. He is survived by his three children. The irony, of course, is that early on the acid-tongued, Brooklyn-born maverick wanted no part of the entertainment business. He seemed content with having served in the U.S. Navy as a boiler technician and just trying to figure things out. Even after Eddie became the biggest comedian and movie star on the planet, Charlie, who was honorably discharged in 1983, took on a more supportive and protective role in Eddie’s legendary entourage. He was security. But Charlie was watching and learning. You could see the progression. A bit role in 1989’s Harlem Nights led to parts in The Players Club (1998) and Roll Bounce (2005). Sure, he mostly played the hated bully, but he did it with a knowing wink. By the time he became a featured player on Chappelle’s Show, his deft and thoroughly engaging ability as a storyteller was on full display. Eddie’s big brother was now more than just a member of a Hollywood clique. But Murphy — who co-wrote the screenplay for Eddie Murphy’s 2007 Norbit, which grossed $159 million — liked to prove to himself and his peers that he could thrive without a net on the often brutal stand-up circuit. Although his 2010 Comedy Central special I Will Not Apologize was uneven, he continued to perfect his craft. The jokes and timing got sharper. The gigs became more diverse and interesting … and bigger. There was voiceover work for The Boondocks and 2012’s Teenage Mutant Ninja Turtles. There was a recurring role on Cartoon Network’s criminally underrated Black Jesus. At the time of his death, Murphy was part of the all-star The Comedy Get Down tour, which also featured George Lopez, Cedric the Entertainer, Eddie Griffin and Hughley. It was a powerful affirmation that the stand-up he’d worked on so consistently was ready for prime time. 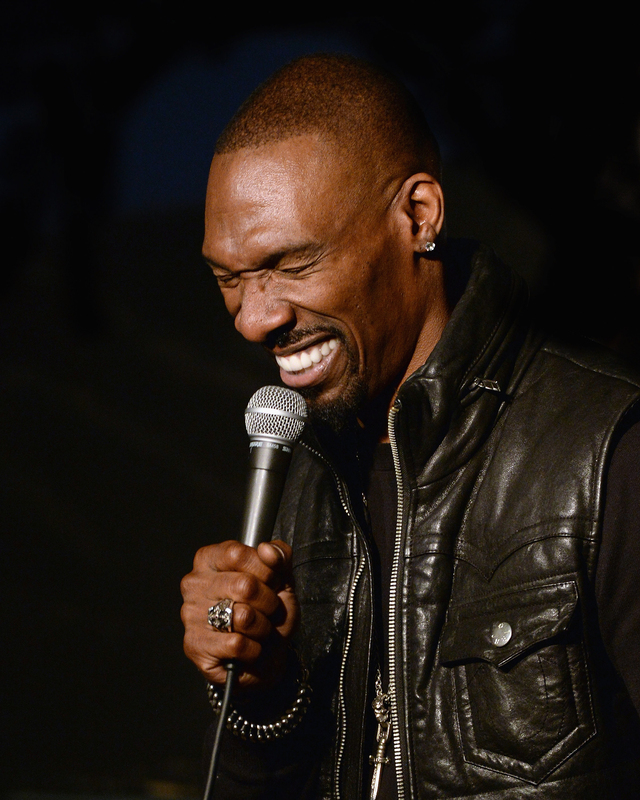 Comedian Charlie Murphy performs during his appearance at The Ice House Comedy Club on December 4, 2013 in Pasadena, California. “A comedian’s job is so dangerous,” he said in 2012. And then two days before his death he tweeted, “Release the past to rest as deeply as possible.” Yes, Charlie Murphy could have been just Eddie’s big brother. But where was the glory in that?